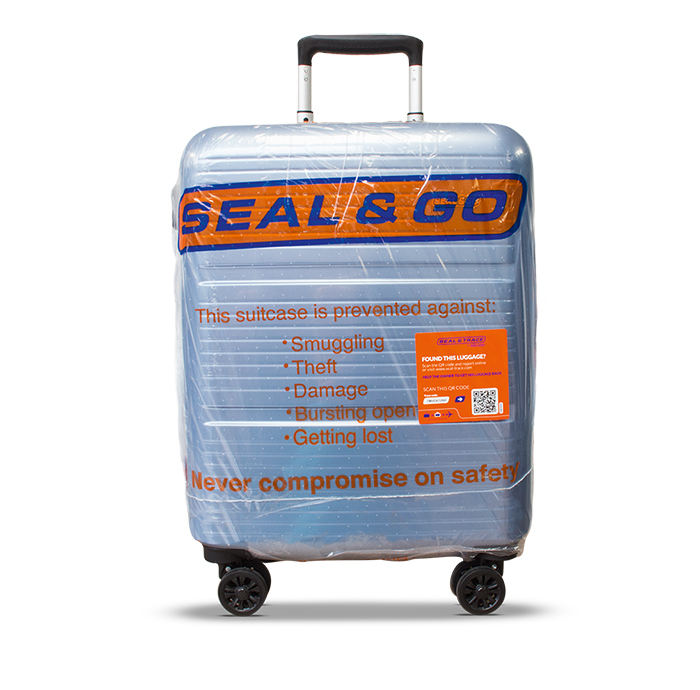 Our stroller and backpack covers belong to our best selling travel products at the Seal & Go desk. And certainly not without reason. Buggies are frequently allowed to bring up until the gate. 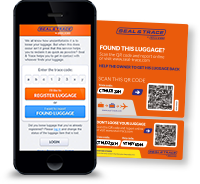 But thereafter, they will be placed in the belly of the plane, together with the check-in luggage. Some extra protection may be needed. Our stroller covers are very easy-to-use and suit most buggy and stroller sizes. Our stroller covers are also often sold for other purposes, like traveling with a car seat or as a travel cover for a golf set. The black Seal & Go stroller cover comes with a handy storage cover. The two way-closed-ended zipper is provided with two pullers, which can be attached to a lock. At the front side of the cover you will find an eye for attaching the lock so that the zipper will be extra secured. The plastic pouch at the side of the cover is meant for an address label. The cover has a strong handle at the op. The size of the cover is 100 x 60 x 40 cm and 240 litres. We advise everyone who travels with a backpack to buy a special backpack cover, also called backpack flight bag. Backpacks without a lock or extra safety system are very attractive when it comes to theft or smuggling drugs. Besides that, loose parts, like handles and cords, may get stuck in the baggage transportation system. With a backpack cover the backpack is perfectly closed during travelling. The Seal & Go backpack covers are of excellent quality and can last a very long time. Our popular super strong backpack covers are provided with a very strong two-way-closed-ended zipper with two pullers. Those pullers can be attached to a lock. On the cover you will find an eye for attaching the lock, so that the zipper will be extra secured. The large text field at the front side of the cover is meant for your name. On top of the cover you will find a firm handle. The backpack cover is available in red, blue, orange and black and comes with a special storage cover. The size of our backpack covers is 85 x 40 x 24 cm and 81 litres.